Be the first to know about new listings, events and blog posts. Simply enter your details below. 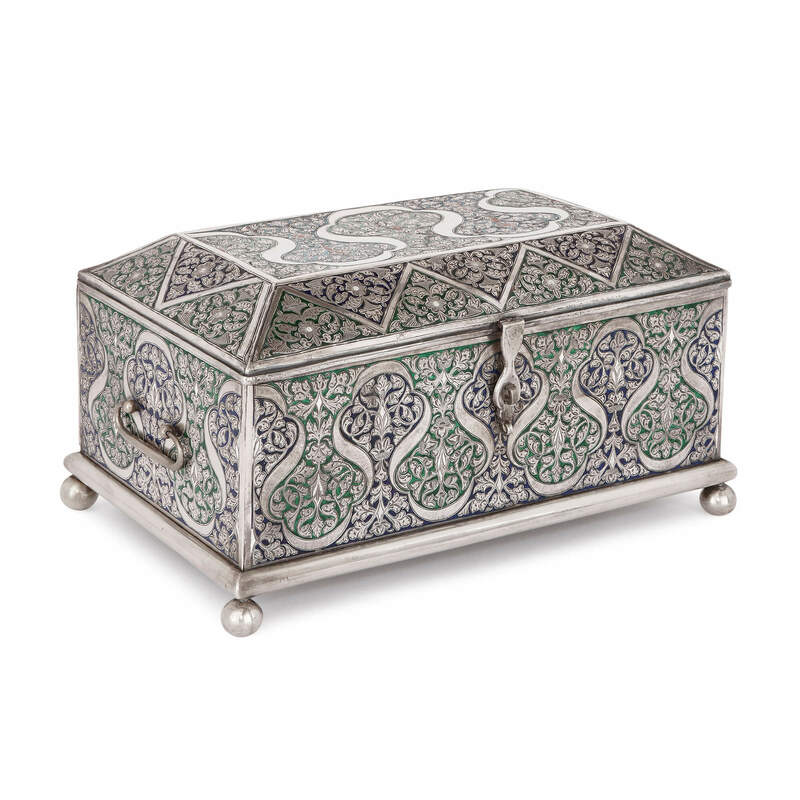 This unusual Islamic style silver casket is a stunning luxury piece, intricately decorated around its exterior with blue, green, and red enamels. The city of Bukhara in modern-day Uzbekistan has a rich history of craftsmanship and luxury goods, owing to its privileged position for many millennia as one of the most important cities on the so-called Silk Road. 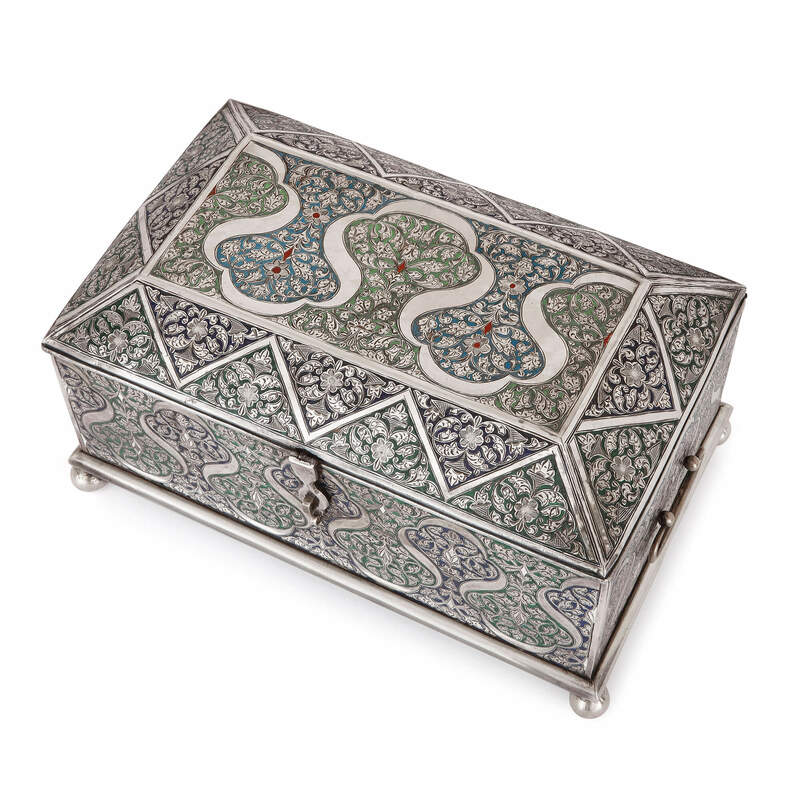 This box or casket is an exceptional example of the quality of the goods produced in the city, and is intricately decorated around its exterior with brightly-coloured enamels in Arabesque-style patterns. 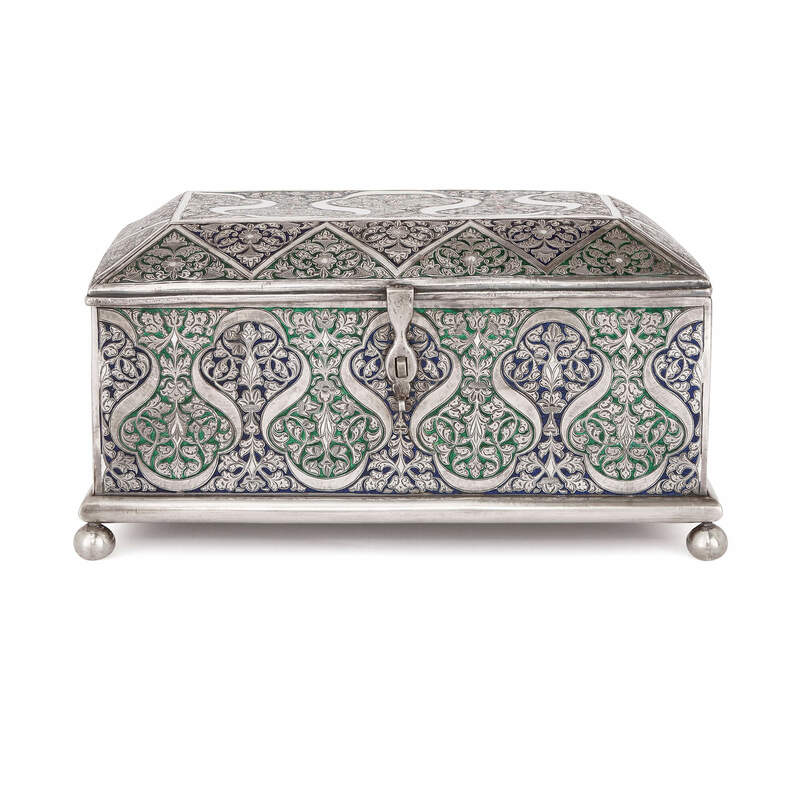 The decorations take the form of scrolling vines and palmettes, and are intricately engraved into the surface of the silver. 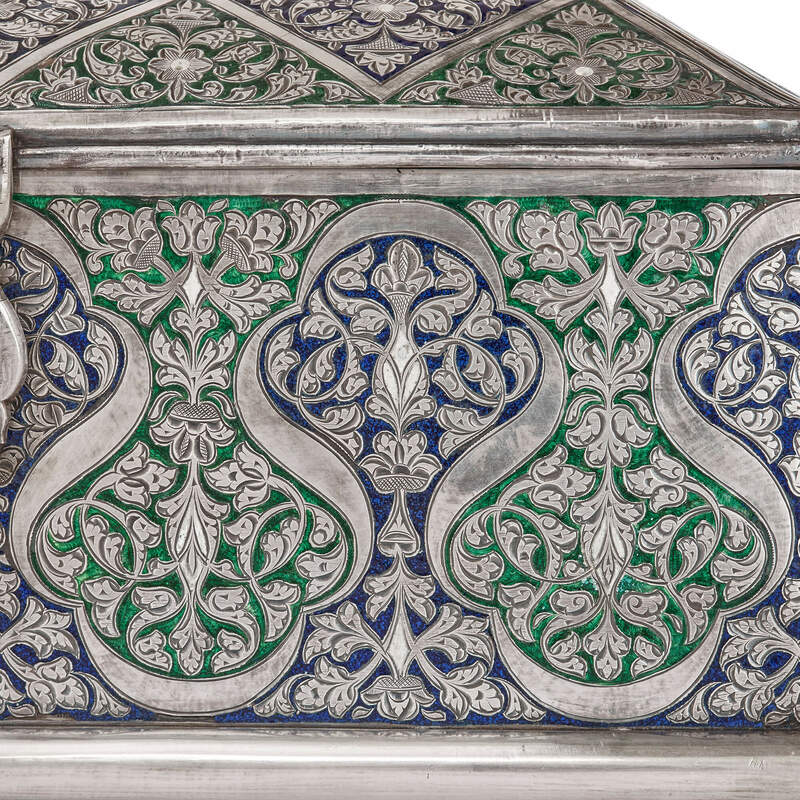 The space around the decorations is filled with blue and green enamel with occasional red enamel highlights. 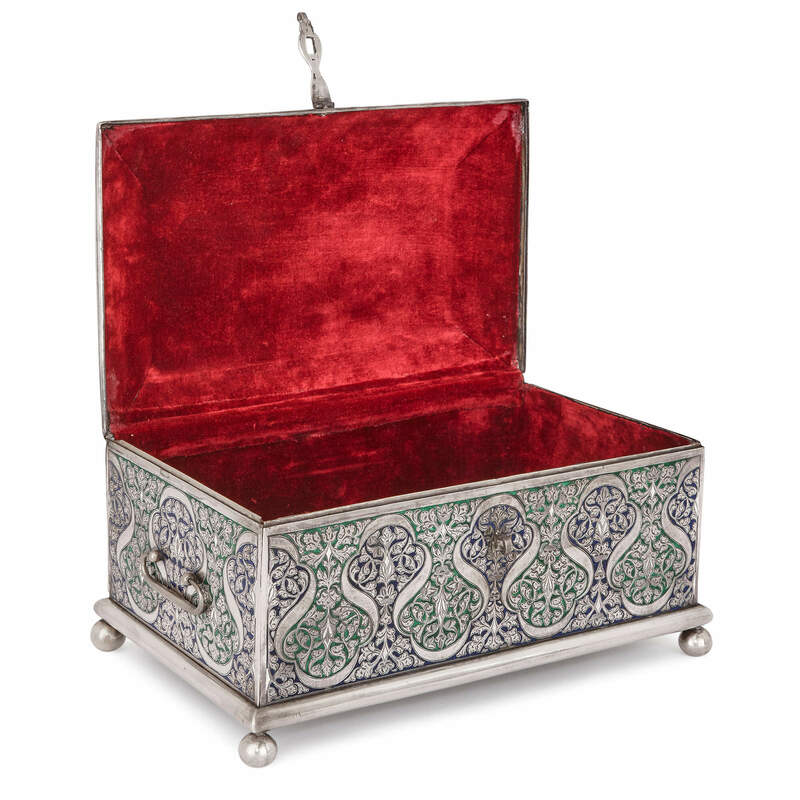 The casket opens to reveal an interior lined with red velvet, making it ideal for the storage and display of precious jewellery. The box is set on four ball feet and is set with twin hinged side handles. 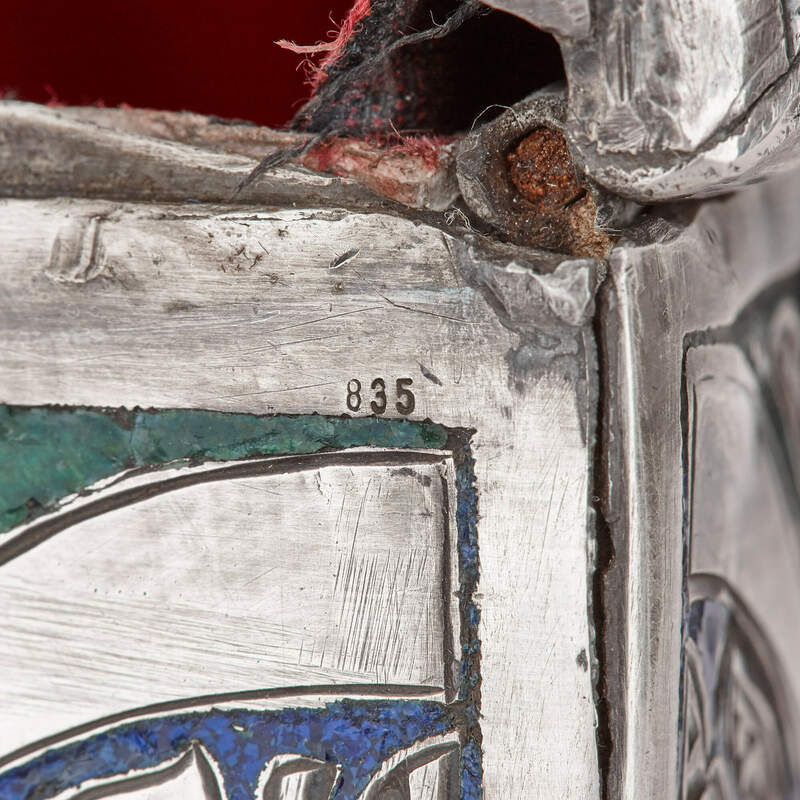 The silver is marked '835' below the top hinge. This item qualifies for free international shipping, inclusive of professional packing and insurance. Terms and conditions apply. © 2019 Mayfair Gallery Limited. All Rights Reserved.